The 2018 Dodge Charger is quite the car! The perfect sedan to make a statement with its endless list of ways to customize, crazy exterior colors and its incredible power! Not only is it a performance sedan it's also practical with its four-door two-row seating configuration making it perfect for families too! Plus if you live in a cooler climate with harsh winter weather you can opt for all-wheel-drive! Keep on reading to learn even more about the 2018 Charger! What kind of engine options does a 2018 Charger offer? 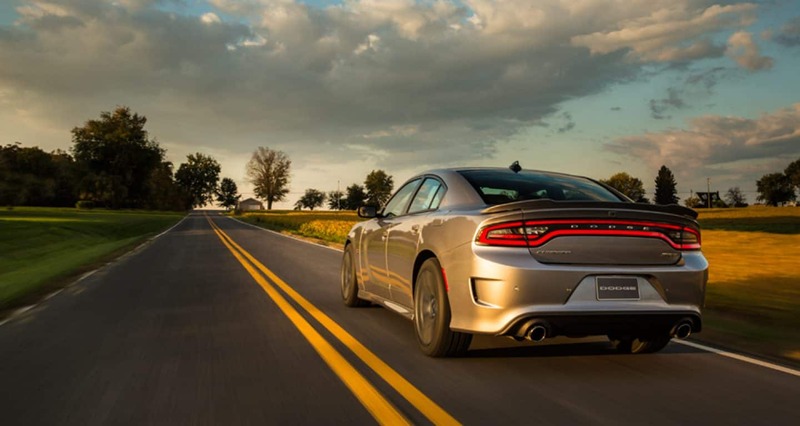 Dodge offers four engines for the 2018 Charger. The SXT model comes with a 3.6-liter V6 engine that generates 292 horsepower and 260 lb-ft of torque. With this engine, the SXT model gets up to 30 mpg on the highway! The SXT Plus, GT and GT Plus models have the same engine but it's a tad more powerful and produces 300 horsepower, and 264 lb-ft of torque and these models can reach 30 mpg on the highway with RWD and 27 mpg on the highway with AWD! The R/T is powered by a 5.7-liter HEMI V8 engine that outputs 370 horsepower, and 395 lb-ft of torque and this engine reaches an estimated 25 mpg on the highway! All of these engines are matched to the TorqueFlite eight-speed automatic transmission that is state of the art and delivers world-class precision and boosts the fuel efficiency! What kind of tier levels and features does the 2018 Charger have? The Charger is a four-door sedan that can fit up to five passengers comfortably. There are tons of different trim levels, but the primary five are the SXT, the SXT Plus, the GT the GT Plus and the R/T. You would never know the SXT is the base model when you sit inside of it! Its standard features include keyless entry and ignition, 17-inch alloy wheels, a rearview camera, a power adjustable driver's seat, rear parking sensors, and a back seat with 60/40 split. For tech, you'll find a 7-inch touchscreen with Dodge's Uconnect infotainment system, dual USB ports, Bluetooth connectivity, voice controls, smartphone app integration, satellite radio and a six-speaker sound system! The optional Blacktop package gets you 20-inch wheels, a rear spoiler, a sport tuned suspension, and blacked out style enhancements! Moving up to the SXT Plus model you earn 18-inch wheels, heated mirrors, LED fog lights, heated sport seats, automatic dual zone climate control, an auto-dimming rearview mirror, and upgraded cloth upholstery. The SXT Plus' technology features include an upgraded six-speaker sound-system, HD radio and an 8.4-inch touchscreen infotainment center with Uconnect! The GT model comes with many of the same features of the SXT Plus models but with all-wheel-drive, while the GT Plus trim gets you xenon headlights ventilated sport front seats, leather upholstery, heated rear seats, rear cross traffic alert and blind-spot monitoring! 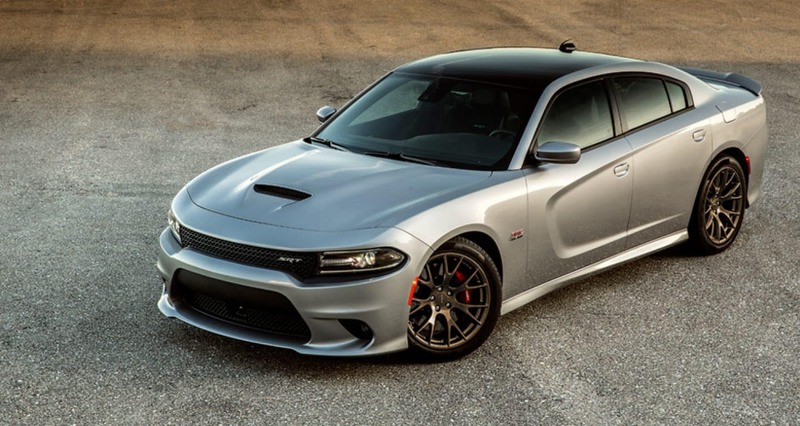 The R/T model is very similar to the SXT but gets a beefy engine underneath the hood as well as upgraded brakes, 20-inch wheels, a sport-tuned suspension and transmission paddle shifters. 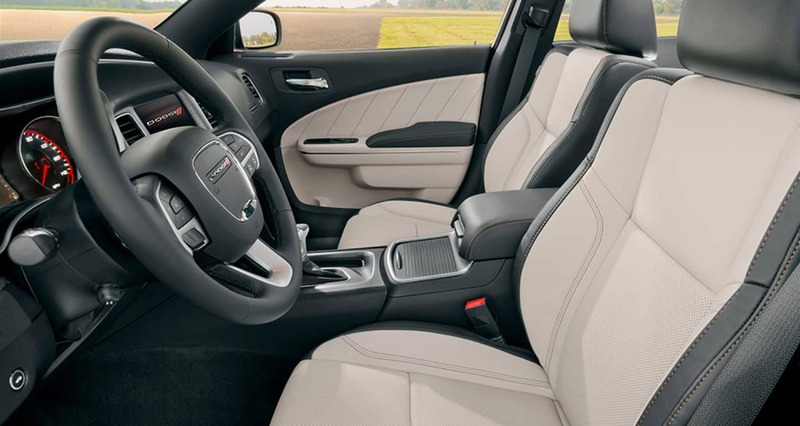 You can opt for the Plus Group (just for the R/T) that adds heated and ventilated sport seats, heated rear seats, a heated steering wheel and more! Other optional packages (depending on the model) include the Premium Group which adds features like automatic wipers and the Technology Group packages which gets you a navigation system and even a BeatsAudio sound system with ten speakers! What sort of safety features are standard or available for a 2018 Charger? The Charger considered safety in every part of its design! The sedan features a Solid Safety Frame created with high strength steel that provides extensive roof strength to help protect passengers inside the vehicle if there was an accident. Welded into the vehicle's side doors are high strength steel beams that are connected to reinforcements in the sedan's structure that assist in providing dynamic side impact intrusion protection. Throughout the Charger there are many airbags like supplemental full-length side-curtain airbags, advanced multistage front airbags, a driver side knee blocker and front seat-mounted side pelvic thoracic airbags all of which are standard on all models! The active head restraints for the front seats reduce the chance of injury in some rear-end accidents! Available safety features include full speed forward collision warning with active braking, LaneSense lane departure warning, automatic high beam headlamps, electronic stability control, and adaptive cruise control with stop! The Charger offers everything that you could ever want in a sedan, room for your family and perfect for daily commuting while also great for weekend performance driving! We know that we have a Charger on our lot for you, so come into Central Avenue Chrysler Dodge Jeep Ram today to test one out yourself!